I apologize a lot happened since I originally started this. As of 2018, I am finally given the opportunity to finish what I started. One of my first purchases on Bundle Stars now Fanatical. Hi everyone I'm Jack Red, I recently got another game bundle with Demon Bundle. Action Heroes Bundle is now officially two bundles respectively separate or buy them together. Honestly I wasn't too much Action Heroes 2 Bundle based on what I seen. No disrespect towards Bundle Stars, I am just being direct & honest. This is an long standing solid game bundle that ends up being more fun than Horror Heroes Bundle. I am not saying those aren't great it's just some of these games are amazing. You get to play two different versions of the same game. A few features from the original Crimsonland got removed in newer version. Both play very similar to many flash games where you are facing waves of enemies. You get many weapons & power ups through out the game. This game can be challenging to some due to some levels having very large amount of enemies especially in boss levels. You can play this with three other people making this highly replayable. Regardless you really can't go wrong with either version of Crimsonland. I highly recommend both versions as it stands as one of the best among Action Heroes Bundle. The music in both versions are great that keeps you going. Both pack a lot of modes that will keep you busy for hours. Crimsonland is amazing in every possible area & yes I directly stating this on both version. Not to be confused with 99 Levels to Hell. This is surprisingly an great game for all the right reasons. You play as an couple taking on the forces of Hell with the goal of ruling it. I loved the whole upgrade system because even if you lose. You get to keep all coins you collected. This makes getting more vehicles easier. The power ups are all well bounced with each vehicle having different specials. It is interesting to note all vehicles are based on signs of the Zodiac. Do I sense an reference to the Zodiac Killer lol. 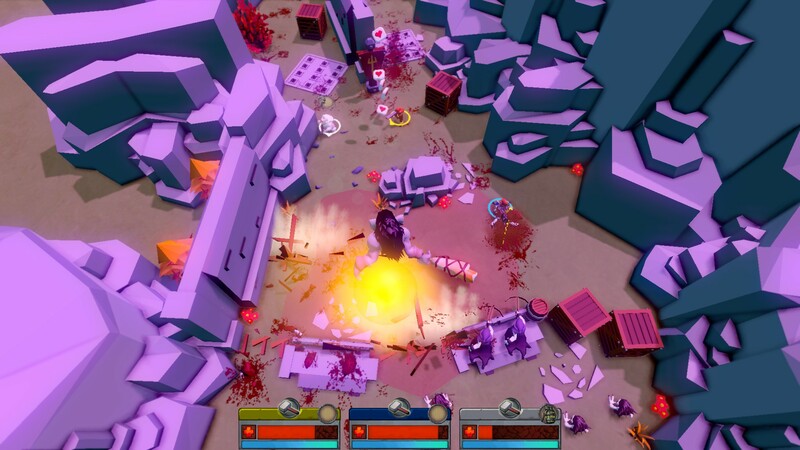 This game will constantly send waves of enemies especially an ridiculous amount in later levels. The music is fitting & keeps you going especially if you keep losing. 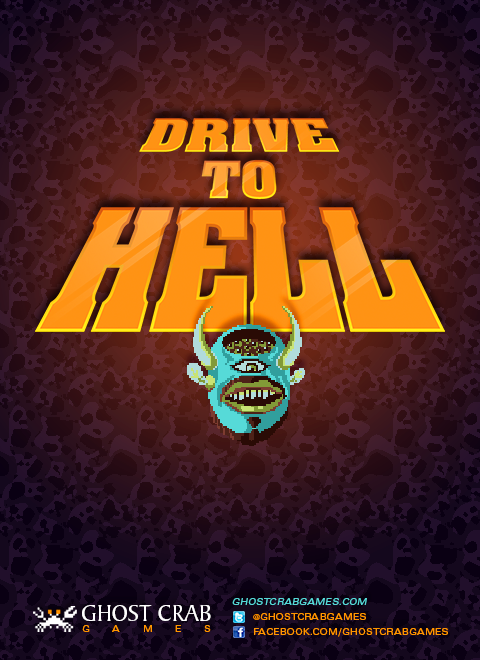 Drive to Hell only has one real problem. There is no invulnerability time in between hits making it easier to die. But considering they did an great job with the controls with interesting levels & randomizing enemies. Everything works incredibly work I highly recommend this game. I am going to be honest I haven't expect an PC game with such unresponsive options. It barely works at all with little to no body playing online for more reasons. The options doesn't let you customize the controls does hurt it. The overall look of the actual game play is just palm sad. The music doesn't fit the theme of the action. The control is an serious problem for games of this style. Cheap enemies with limited room takes away what could've been fun. I am sorry to bash this game very hard but it wasn't very good. I really don't recommend Gunnheim to anybody not even my worst enemies. Update: I played it more recently it was better than the first few times playing it back in 2016. I still had trouble turning off the game. At least I can use my controller but the game is mostly online multiplayer based. Although you can play by yourself. You can get upgrades as you are playing that do make a difference. Consider this cheating if you will as I have to review four classic games in one spot. These games couldn't be any more different. Apogee with id Software helped got Wolfenstein 3D out. They really wanted to continue it's legacy in the form of two short lived series. Blake Stone series, Rise of the Triad & it's expansion Extreme Rise of the Triad are an short collection of games. Let's get this out of the way Extreme Rise of the Triad is possibly the worst game in the entire bundle. But since it is included in this collection with majority being much better. It only stands as the biggest flaw to both The Apogee Throwback Pack & Action Heroes Bundle. Despite making more complex level designs, it really doesn't change much. You thought Final Doom & both Spear of Destiny mission packs were hard. I dare anyone with an death wish to attempt Extreme Rise of the Triad. The first level doesn't mess around at all with way more tougher enemies. What's worse is just like those mission packs, Extreme Rise of the Triad is virtually an alternate version of the game. This means you are still facing the same bosses with the same ending. Rise of the Triad originally was designed to be an follow up to Wolfenstein 3D. 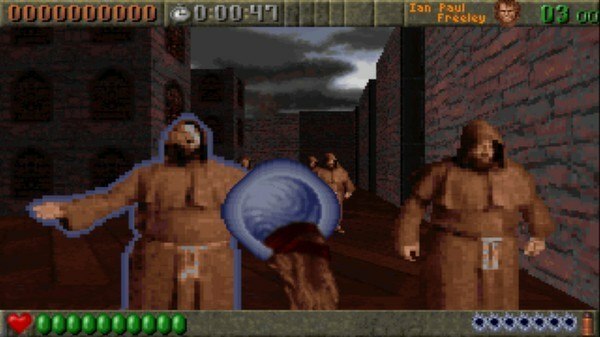 However id Software chose to not support it as they were more focused on Doom. This cause Apogee to change their game a lot with some concepts kept. 50/50 on power ups as some could help you but the rest are annoying as hell. Let me explain stuff like becoming an dog or flying works fine. Then you have elastic that causes you to bounce uncontrollable & shrooms screws your vision up. Most levels take an long time with a lot of patience to figure out. The bosses seem to only be damaged by explosions. Funny Duke Nukem Forever thought that was an good idea not!!! Now the rest of the games are more worth your time, money & patience. Unlike Rise of the Triad games, Blake Stone series actually feels like an Wolfenstein game. Blake Stone: Aliens of Gold comes off as an more futuristic space theme game. Every level is surprisingly well designed with an more surprising total. Both Blake Stone: Aliens of Gold & Wolfenstein 3D including all hidden levels has sixty levels. I actually prefer the voice acting in Blake Stone over Wolfenstein 3D. Slightly more gory with plenty of secrets & given more control over exploring. You heard me right you can go on elevators at any given time & complete an level. All bosses do come off similar to Wolfenstein 3D's but they are some of the most detailed enemies of the game. Unfortunately Doom came an week after it's release to basically bury it. Don't get me wrong I really enjoy playing Doom games. Blake Stone: Aliens of Gold is an clever underrated FPS classic. Finally Blake Stone: Planet Strike an follow up to Aliens of Gold to end the series. Just like Spear of Destiny, Blake Stone: Planet Strike is one big episode. Slightly tougher bosses than the original again like how Spear of Destiny was to Wolfenstein 3D. They introduced more alien enemies that I like a lot. What's more interesting now I thought of it. Both Blake Stone games share some strong similarities to Fallout series & predates it. I wonder indirectly were this series hidden inspirations for one of the most popular game series. As an whole The Apogee Throwback Pack is great for it's value. I highly recommend both Blake Stone games with an passion. I almost couldn't recommend Rise of the Triad because of it's flaws. Very obvious Extreme Rise of the Triad should be avoided at all costs. Update: More recently even going the back door method of playing some of these games. Mostly on Rise of the Triad games it kept crashing on me. Even back in 2016, in the regular game selection can quickly crash or eventually will occur. Sadly the emulation of these games isn't perfect. I haven't attempted to doing mods through it since they supposedly made it easier to mod them. This is an plane racing game that's similar to Mario Kart series. Honestly Sonic & All-Stars Racing Transformed is much bigger in many ways. I was able with some trouble get my controller to work. Even playing it on easy, you will need a lot of luck to win an race. You will get use to tracks but have to play other modes to unlock more content. Of course up is down flying rules applies here. We don't need to say more if you seen every AVGN episode referencing that from Top Gun on NES. I felt there should be more stuff to be included to help me to come back. 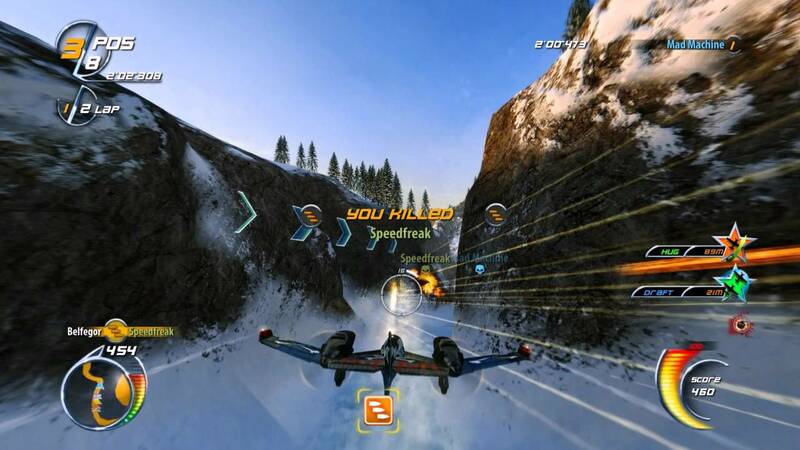 For me SkyDrift is an okay racing game nothing special. In the audio category it is okay but I heard better from racing games. I wish I could say more to convince people but I really did try to get more into it. Like Freedom Planet did for Sonic fans, Super Cyborg does for Contra fans. This is an amazing retro run & gun game with everything done very well. I am glad this works very well on both my keyboard & controller. I don't have many games doing that which makes Super Cyborg special in my book. Just like Contra, you have to fight your way through an army of all kind of things. One hit deaths with great weapon upgrades. The soundtrack alone is worth buying this game. Yes this is just as tough as an Contra game. Thankfully it is easy to memorize what to do. Especially important to do against bosses since where to hit them or how to avoid can be difficult. Thankfully like classic Contra games, you can cheat. Which I would recommend if you didn't grow up playing Contra series. Super Cyborg is an amazing indie action game I highly recommend. Sadly the poor man's Wolfenstein experience. It quickly comes with so many similar shooters. Although I do like the artwork in many cut scenes. The controls aren't too bad remember you can customize them. You start the game with a chase sequence. I haven't played many games that started off like it. I would say Jurassic Park arcade game by Sega, the first one to clarify did it better. 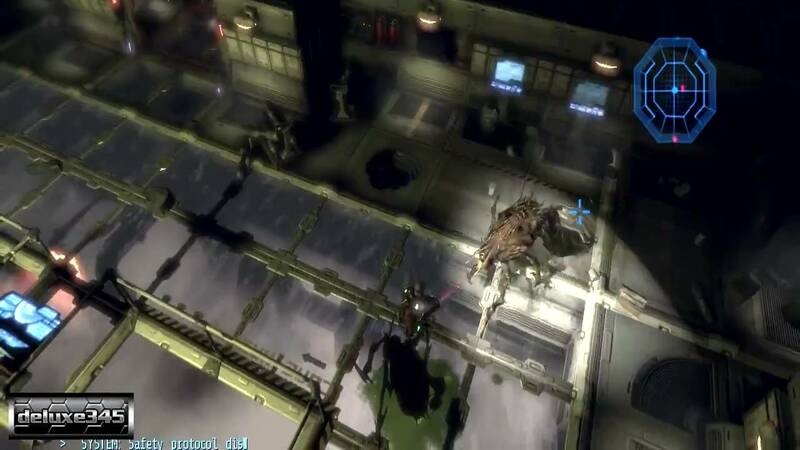 Ubersoldier II is basically somewhat of a tribute to classic Wolfenstein games. Yes you are fighting nazis but some of the game play mechanics aren't great. After completing every level you get a few points to increase your stats to better your chances. One way of earning more points for that is nailing head shots. You have to quickly kill three enemy soldiers with head shots. Then the game will tell you to do it one more time to activate it's kill time feature. Yeah Max Payne another game is ripping off your most famous feature. Accuracy in this particular shooter is questionable. The enemy A.I. however is one of the stupidest I ever seen in these kind of games. Hazards do too much damage quickly to make escaping them very difficult. Hell I still can't cheat even with several websites help. The one thing to help move this game up in my personal ranking for this bundle. Ubersoldier II is a hard pass for me. There are many great WWII theme soldiers that aren't even Wolfenstein games. Of course my big recommendation is go play Wolfenstein 3D instead. Trust me it really is worth your time to play. Essentially a updated version with a different title. 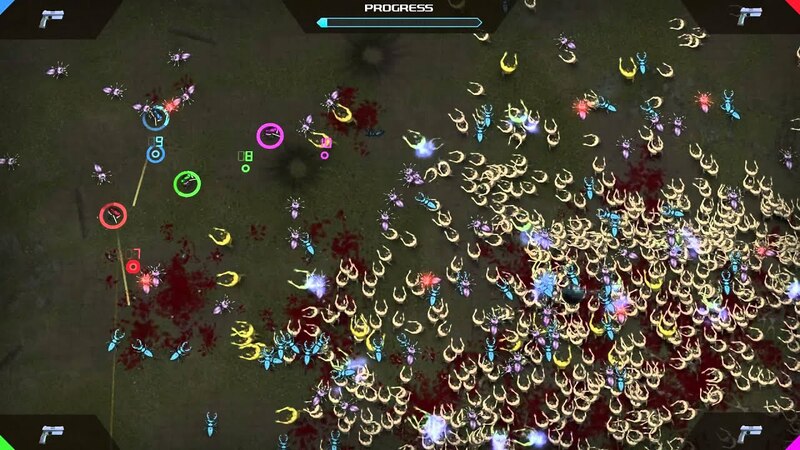 Alien Impact: Breed is a fun game if you want to do puzzles and kill a lot of aliens. I do recommend if you can use your controller please do so. I felt a major difference in moving your character between the two. You can save at a particular computers located through out the levels. You can upgrade your character to better your chances of surviving. This game may not look like much at first. Let's be honest there's a lot of similar games including Valve's Alien Swarm which is free. I felt this was much better than that game no offends Valve. You should get use to what to do after a while. You can play with a friend to better both your chances of surviving. I would say this is one of the better games in the bundle.